Can you escape from this tricky puzzle game? 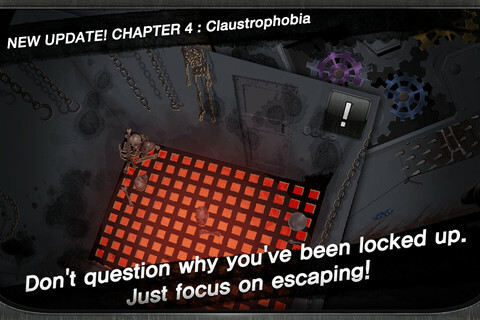 We're rather partial to a good escape game, and the likes of 100 Floors and The Room have proved beyond measure what a superior platform mobiles offer the genre with their tactile touchscreens. Doors & Rooms is the next in a long line of theses sorts of games and it's a bit of a mixed bag of puzzles at first. Each puzzle is presented as a solitary room, and with a finger press you can look around some of these environments to seek out hidden objects or tantalizing clues. Double-tapping on an item places it into your inventory where it can be analyzed for its purpose, combined with other objects in the inventory, or put into play in the puzzle itself. In the early levels you might need to smash a glass cabinet with the hammer you've collected, so you can grab the key inside and unlock the exit. Shortly afterwards you'll have to place batteries into a remote control so you can ping open the sliding door. Codes are hidden on scraps of paper, and puzzles made of colored lights come into play. It's basic but does a good job of introducing you to the fundamentals, although let's just say you'll wish you'd kept notes at the conclusion of the first chapter of levels. The game finally finds room to stretch its legs a little more once you head into the third chapter of the game. Here you'll have to combine different puzzle elements to open a room's door. You'll need to fiddle with projectors to cast mere shadows of solutions onto a screen. You'll have to analyze chalk colors in a pool room to wire up a fuseboard correctly and so on. 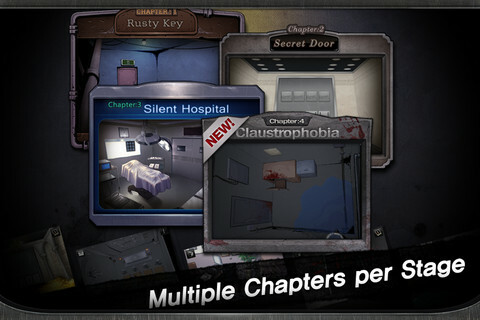 These later chapters provide puzzles that are far more logically satisfying to solve. 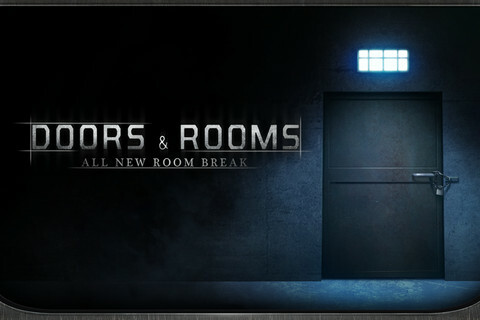 Doors & Rooms is a free game that's supported by a hints system that costs coins to unlock. There are three tiers to each stage's clue: first you'll be given a very vague pointer, then something a little more specific, while the third tier spells out the answer in black and white if you've become really stuck. Each tier costs progressively more coins, and you'll have to buy more from the cash store if you burn through hints too quickly. Some of the puzzles are just a little suspicious in their rather random design though, and we do have to wonder if they represent a somewhat inelegant nudge towards the cash store. Still, the internet abounds with walkthroughs for this particular game, so you need not dip into your wallet too early. Taking a step back to view the game in its entirety, Doors & Rooms is a game of fits and starts really. There's a fairly even spread of pretty obvious, painfully esoteric, and satisfyingly logical puzzles, all mixed together without much consideration for a delicate learning curve. With that said, there are more than enough high points to make this worthy of attention for any room escape puzzle addict. What's Hot: Fantastic artwork and atmosphere with some very tricky, well-designed puzzles. What's Not: The quality of the puzzles overall is a little bit mixed.